Price premium of coconut oil packs have been increased to about 10% as compared to other mass brands in the market and at par with a premium brand. We have a sales officer Mr. Nandakishora who has strong opinions about pricing and in favour of traders. While discussing he said, “We have reached the final stage of our pricing evolution, haven’t we?”. I countered saying, “No, there is still a long way to go!”. How did we reach here? November 2014 – 1 Rupee Premium – Association was formed and prices were fixed by them. We used to supply to shops directly with our own vehicles. January 2015 – 2 Rupees Premium – Then we changed from van sales to distribution system. Distributor was given at association wholesale rate which was 3 rupees discount to retailer rate. With 2 rupees premium, we gave distributor 5 rupees margin. July 2015 – 3 Rupees Premium – This was because the association decided to reduce the wholesale discount by 1 rupee to just 2 rupees. We retained distributor margin by increasing retailer price. November 2015 – 5 Rupees Premium – , Association was tending to keep the price low to discourage price rules violation. It was not very smooth for every price increase we lost a couple of distributors, a few wholesalers and many retailers. Even those who continued buying from us raised serious questions. I used to get very nervous before taking decisions. But bold decisions had to be taken, that is what has made me an entrepreneur in the first place. By now everyone got adjusted and were expecting further price moves by us. We were left with only loyal customers, retailers kept our brand only to give to those who asked for Cocoguru. Still this customer base was substantial to help us survive. We gained in confidence as these are the customers who we have rightfully earned. April 2016 – 6 Rupees Premium –. To supply to distributors we introduced as super stockist and his margin of 1 Rupee was added to price. By now association stopped fixing the price as the members had already stopped strictly following the prices. Fearing price fall due to competition we still had to increase our price premium to survive. Price fluctuations weekly were another big problem to tackle as it caused disturbance to members in our trade channel. This meant we cannot reduce prices immediately, we have to give 1 week notice to distributors before reducing price. A couple of times, we didn’t reduce price even after 1 week and hence the premium increased from 6 to 7 to 8 to 9, back to 7 or 8 and then to 10. While our competitors change prices weekly we don’t change our price unless there is a major change in raw material cost. This has enabled the distributors to purchase confidently without worrying about price fall after their purchase. We have successfully differentiated ourselves from competition and I can peacefully enjoy my Sunday without worrying about their price. Now, we have gained great control over our price, we will fine tune it further. Normally, consuming oil should make one fat and gain weight, but how is it that using coconut oil helps weight loss? It is true, not a joke. Let us understand how. Coconut oil is an anomaly among edible oils and nature’s gift to mankind. In science and nature, we know a famous anomaly that is of water. Ice floats in water. Normally, cooling a liquid should bring the molecules closer and make it heavier/denser. But water when cooled beyond 4 C starts expanding and becomes lighter and Ice at below 0 C floats in very water. This anomaly of water has enabled life to sustain under water even in colder regions in winter months. Similarly coconut oil gives you the benefits of oil required by human body and yet doesn’t give the side effects of weight gain. Lipids can be classified into oils and fats. Coconut Oil though an oil shows several qualities of a fat. Saturated fats are bad, Coconut Oil is saturated. Hence coconut oil is bad. Cholesterol clogs arteries and bad for heart. Coconut Oil has cholesterol. Hence coconut oil is bad. Oil intake should be avoided for better health. Hence coconut oil should not be used. Rather the reverse of it is true for coconut oil. Digestion is essentially about breaking down complex hydro-carbons like carbohydrates, lipids and proteins into basic carbon dioxide and water using oxygen and release energy. Simpler hydrocarbons are easier to digest than complex ones. Majority of coconut oil is easily digestible medium chain fatty acid. Other oils consists of long chain fatty acids and require special enzymes for digestion, they give more strain to pancreas, liver and entire digestive system and they get stored as body fat. Coconut oil had 50% lauric acid of carbon chain length 12. To compare with alternative edible oils. Olive oil considered healthy is majority oleic acid of length 18. Sunflower oil, a mass consumed oil is majority linoleic acid of length 18. Practically compare your feelings after eating oil fried food with coconut oil vs sunflower oil to feel the difference. Stomach feels bloated and heavy with sunflower oil but light with coconut oil. Not stored as fat. Fully digested into useful energy and not stored as fat. For many who live outside the tropical regions, don’t get coconuts, import coconut oil and use it for their health. But those in tropical region where coconuts are available don’t value what they have. Kannada saying “Hittala gida maddalla” literally translates to “The plant growing in the backyard is not medicine”. Starting today, we will increase our wholesale price premium per litre by another 2 Rs from existing 3 Rs to make it 5 Rs. I owe an explanation to various stake holders like company sales force, distributors, wholesalers, retailers and consumers about the move. A friend casually asked while talking about each other, is Cocoguru the ‘Apple’ of Coconut Oil? That was 2 years after we started the business and struggling to stay afloat with various operational issues and struggling to find feet in the market. Couldn’t tell a lie and say ‘yes’, shy to say ‘no’ either. Couldn’t give any proper answer, but started imagining how an ‘Apple’ of coconut oil will be. With cut-throat competition and price sensitivity in the market didn’t think it was possible. Coastal Karnataka market has majorly 2 types of coconut oil suppliers, small millers and re-packers. Small millers have a couple of rotary machines, do job work service and cater to small local area. Re-packers bring coconut oil in tankers, pack in small consumer packs and distribute at competitive prices to all wholesalers and retailers. Each one tries to undercut their price compared to others. There also exists a few age old mills (between 50 to 100 years old) that sell their brand to a small niche market at a premium price. They have no fixed costs like bank loan interests and repayments and salary to professionals. They don’t even have a hunger for growth as they will be battling with succession plans. In a market like that, for a new comer like us, with large fixed costs, loan repayment pressures, with foot barely set in the market, increasing price is the hardest decision to make. There is a huge risk that traders will alienate us, but consumer demand is what we can cling on. It is a path less travelled, but we are here to make a difference. Higher price automatically leads to more profits is far from truth here. If short term profit is the motive, reducing price should build volume and compensating lower price by slightly reducing quantity, lowering quality, adulteration and tax evasion gives far better margins. Brands that provide full value of coconut oil to consumers have around 20% premium to mass brands. So, our 2 rs price increase now is just a means to end. Till now one rupee was increased every 6 months, so as per plan the next increase was due in January. But we are doing it now because of the adverse circumstance we find ourselves now. Despite association being formed in coastal Karnataka, millers are resorting to short-cut routes to earn a sale by undercutting their rates below the agreed base price. Countering to that the price deciders in association have resorted to deep price cutting. Complaints of manufacturers selling oil at below association base rates prevail. We would like to warn that prices will be dropped further and will be dropped deeply if this trend continues and will be kept lower until all undercutting stops. Undercutting will never stop, we don’t have deep pockets to survive, we don’t want to compromise on our quality and value to alienate our consumers. Sweet taste, aroma – This means purchase of good quality copra whose FFA is less than 0.5%. Such copra costs about 5% higher than ordinary copra with FFA of about 1%. Availability – Regular availability of stocks, irrespective of season, market price and demand fluctuations. Also availability in wider geographical region, rural/urban areas, wholesalers/petty shops. This requires maintaining adequate stocks and effective supply chain management and distribution network. Branded – A brand has the responsibility to stand for something and exceed customer satisfaction relentlessly. It should be well known and liked. Demand should be driven by consumers instead of being pushed by traders. Food Safety – Coconut Oil is recognized as a food product and is given the respect it thoroughly deserves. It means maintenance of purity, necessary hygiene and safety standards. Copra prices change daily and multiple times within a day, but association coconut oil prices are changed weekly. That itself is too short a cycle for a smooth trade along the channel from manufacturer to consumer. That is how commodities are traded not how branded consumer products are distributed. We intend to raise the price sufficiently high so that price comparison stops and when we have full control over our price we like to change prices at a much lesser frequency like monthly or quarterly. To summarise, the intention of increasing price is not to increase profit but to increase customer value. Thanks everyone for your kind cooperation. 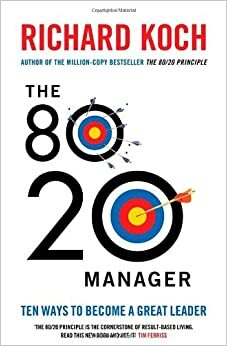 A business friend gave me a book “The 80:20 Manager“, I didn’t read it for 6 months thinking it is just another self-help book that is good to read but tends to be forgotten after a week. But this was something that was inline with my established beliefs and it was not hard to follow. It rather, gave me confidence to implement what I believed. In essence, book is about Pareto Principle applied to management. 20% of selected inputs leads to 80% of outputs. For business, 20% of customers can give 80% business and profits. Since starting 3 years back, business has been journeying in various ways. Here are a few ways in which we got back our focus in the last 3 months. The focus started shifting away from our core business of manufacturing and marketing coconut oil. Adequate service could not be given to our customers because of supply disruptions from our vendors. Lot of works were to be done in transportation, unloading, loading, accounting, leakage processing, payment, selling in credit, managing working capital etc. What seems like busy work and turnover was actually not contributing towards building Cocoguru brand or increasing bottom-line. So, we just stopped them altogether. That provided a lot of relief and we closed Sullia godown, released a rented vehicle and saved on a few resources. Wholesalers/Retailers were given supply of coconut oil through our Sales Van. For this we had to arm the vehicle with a driver and salesman. To account for those transactions an accountant was required, an officer was required to manage the delivery team. These are unrewarding work for a manufacturer, but had to be done initially to sell our products. The cost was very high, 40% of our company expenditure was going towards sales and distribution. We had 5 delivery vans to supply all over Dakshina Kannada district. I always had a dream to stop doing line-sales ourselves and get distributors to do it for us. But distributors will take it up only when the brand is popular and they are confident of selling it. The margins should also be sufficient to sustain their business by only selling coconut oil. The tough decision of increasing our selling price has made it possible and very soon. We left out less productive sales people, made enthusiastic sales people as distributors, gave away our existing vehicles to them at a reasonable price. With this we could leave out about 12 people from our payroll, stop renting 2 vehicles, sell 2 of our own vehicles, save the work of 2 accountants, Logistics officer and Top Management. Expenses are very less and under control, selling price is predictable. When the distributors have to sell to earn for their living their performance is even better and sales improved. With the eagerness to sell more and acquire as many customers as possible, we tend to serve any customer at any cost. But some customers are not worth our attention. Some need discounts, need credit, need pampering, are difficult to supply, need a different quality, put restrictions on us and still never get satisfied. Bolding leaving them out is a win-win situation for both the customer and us. We can cater to profitable customers better, others can get their desired service from a competitor. For every customer lost, there are a couple of them to be gained. If we believe in Theory X, labourers are lazy, they tend to take away maximum wages for minimum work. While employers looks to get maximum work for minimum wages. Mostly the labourers have their say. It is cumbersome for supervisors to get maximum work with quality from them always. So, to align their work output with their income, we have made a piece work system, where they get paid only for the units of work done and not on attendance. This is system is fair for all workers, they are not paid on seniority, experience or any prejudice, only on output they produce. In any annual appraisal discussion their only focus is on the revised salary, without any regard to their past performance or skills to be developed, responsibility to be assumed in future. For such people giving instant reward is the way to go. After doing this their performance have increased multiple folds. Example, for a 5 member team segregating 6 tons of copra a day was very difficult, now 3 members are doing it very comfortably and with better quality. For bulk quantity loading and unloading, in house labourers weren’t willing to do, so external labours had to be called. Now for 10 paise per kg, they are willing to do. In packing section, where 9 people couldn’t finish all packing jobs, now after leaving 3 people, the 6 people are having enough time to go for other jobs. Overall we could leave about 8 less performing people and better performing people are getting handsomely paid. Form 30 labourers we have brought down the count to about 20, work is getting done faster and better, existing labourers are fully engaged and satisfied. With all these steps, the amount of administration work has come down drastically. Again couple of people who have become redundant were left out. With this lean an organization, it is possible to even double the business without having to add any headcount. Any decline in business can also be managed with minimum overheads. With operations focused and streamlined, way forward is to grow sales through advertising and appointing distributors to cover more area. From accumulating losses for 2 years and not knowing way forward this is a very pleasant situation to be in. We market Coconut Oil all over Dakshina Kannada district for edible use. In order to prevent unhealthy competition that erodes everyones profits, an association is formed among all oil millers. Minimum Price is being set weekly and all oil millers are expected to follow it in selling price of respective brands. Cocoguru started off with its price at 1 Re premium when association started 2 months back. Now we will increase the premium by 1 more Rupee and there by setting a premium of 2 rupees on a product that is valued at about 150. Increase Brand Value – Brand Value is measured as Price Premium x Increase in sales because of use of brand name compared to an unbranded one. We invest in increasing our brand value and then look to encash it. Signal of Quality – It is otherwise very difficult to communicate value of our product w.r.t. that of competition. One of the easiest and sure shot way is to increase price. While comparing 2 shirts that are seemingly similar, we tend to think that shirt that is higher priced as one that is better. Food served in a star hotel is supposed to be better than one served in an ordinary hotel because one gets a higher bill there. Reason for Purchase/Sale – People should buy our product because they want it and badly want it, not because it is available at a lesser price. Increase Responsibility – By price increase, in order to maintain and increase sales, one must back it up by improving the quality, service, marketing, be consistent and responsible. This will again be good for the brand. Satisfaction – Company employees, suppliers, salesforce, distributors, retailers and consumers all feel very satisfied, have prestige in being associated with the brand. Insulate from competitor moves – Lower priced brands are always under threat from new entrants and competitive price moves. Whereas premium brands are harder to topple by competitors. Competitors must work very hard to build their brand in order to acquire our customers. Prevent Bargains – When our selling point is lower price, customer always tend to bargain. Transaction then happens only when we yield to the bargain. If we yield to those who bargain, then the one who doesn’t bargain suffers, eventually he too starts bargaining. For a routine FMCG sale, bargaining with the same customer every week is not a smooth way to deal. Futile Price Wars – Price as a competitive advantage is never permanent and not worthy. We can gain a temporary sale by selling at a lower price. But competitor will immediately react by selling his at an even lower price. This will end in a price war with no winners but all badly wounded losers. Going forward we like to increase the price gap and eventually not lend Cocoguru to price comparision with another brand. Every aspect of our business is undergoing continuous improvement, price will also undergo improvement accordingly. From the company, we had organized a one day trip to Mullaiyanagiri for employees on Sunday, 8th June. 25 out of our 38 employees have been able to make it for the trip. 10 ladies and 15 gentlemen, their age ranging from 20 years to 55 years. Here, I like to summarize the facts and share my opinion on the trip. After a hectic season ending this summer, we wanted to have a break from routine and have a relaxing session. The group otherwise formally organized with hierarchy, powers and responsibility, will now be informally organized with personal friendships and similar interests. Usually in business operations it is me who takes final decisions or takes tough calls, where the buck finally stops. But for this trip, I had delegated the responsibility of organizing the trip to my younger colleagues and future leaders Nanda Kishore, Vinod and Shiva Kumar. They are trekking freaks themselves too. I only briefed them about the time duration – 1 day i. e. Sunday without affecting our regular work on Saturday and Monday, people – our employees only and not their families, place – scenic place nearby and budget – 800 per head. They went ahead, selected the place, went there one month in advance to understand the place, booked the bus, arranged for lodging and food, arranged to pickup and drop employees from far away places. Though a few of us visit other places almost every weekend, for a few it was a once in lifetime, once in a blue moon kind of opportunity. One colleague remarked, for the first time since my college 10 years back, I am freaking out like this. For me, it was otherwise, I didn’t go out till I completed college as I was not allowed. The company management is very happy for providing them that opportunity and their gratitude in return. Many of us know each other professionally but we don’t know each other personally. Those who are working in our branches at Mangalore and Sullia may not know those working at our factory at Puttur. This was a great chance to know each other and personally. I am surprised at how each of them have different personalities at work and outside work. Some of them who meekly obey orders from superiors at work, now participate freely. We started from our factory at Puttur on Saturday night 10 p.m. picked up people along the way. Travelled through Charmadi ghats to reach Chikmagalur at 3 a.m. We checked into a lodge only to get fresh and complete our morning activities. They charged 100 per head for the same. Got ready by 6 a.m. Travelled to the base of mullayanagiri hill while enjoying hills, valleys, sunrise and panoramic view of chikmagalur city. Had breakfast at small canteen at base and started trekking to the mullayanagiri peak 4 kilometres away. Everybody enthusiastically marched along, playing many pranks along the way. We saw many tourists like us that day since it was a Sunday. Being the highest point in Karnataka, it should certainly attract many visitors. We could see lush green mountains, green either with grass or trees. I observe that ghats that are on the western side of malnad have more trees and ghats on the easter side of malnad have more grass. Mullayanagiri peak has a small temple on top. It also has a couple of caves where one go a decent length inside the hole of hardly 1 metro diameter. Such a cave experience was first time for me, for a claustrophobic, it can be quite an experience. Once can reach the top through well laid out steps, instead we climbed form the back side of the hill to reach the top to enjoy a full 360 degree view of other landscapes visible from top. We started descending down at 10 a.m. Reached the base at 11 a.m. We had ordered for lunch at the same place where we had breakfast. Since we had to go to Bababudanagiri next and had nothing to do here, we had an early lunch at 12 p.m. Mobile tower on top of Bababudganagiri is clearly visible and just a 2 hour trek from Mullayanagiri but along road one has to travel 20 kms. Road is still under construction, so we had to park our bus well before Duttapeeta and go by public Jeep. He also took us to another place 4 kms away with a small lake and view point. Finished that part of site seeing by 3 p.m. and it was time to come back. Weather was excellent for site seeing. It was bright and sunny, there were no clouds so far off places were visible. There was no rain, so cameras could be taken out without fear. Rainy season is yet to arrive formally, so all the streams and rivers were with no water. At that altitude, humidity was low, so unlike in Puttur/Mangalore where we would sweat profusely without doing anything, there we were not sweating at all. it made it that much easy that we were trekking easily even under mid-day sun. But when we were heading back after Mudigere along Charmadi ghat rains had come and it stopped us from enjoying the breathtaking views of the ghats. While going up the ghats we couldn’t see because it was night, while coming back it was rains. Can’t complain about it when we chose to travel in rainy season. Dinner was ordered at Suprabha’s uncle’s place at Somanthadka off Ujire. Thanks to their family for arranging it. After dinner at 8 p.m. we reached Puttur at 9.30. People were dropped to their respective places by 10.30. A satisfying and pleasurable trip comes to an end. Bad thing being, People had to come back to work on Monday as usual after this. Thanks to the organizers who made the trip such a jolly ride without hiccups. I would like to highlight their responsibility and sacrifices. After such a tiring journey, they dropped people to heir home with their personal vehicles. They gave away the best opportunities to us while they took away what was left. On a 22 seater bus, they sat near the driver, didn’t sleep for a moment in their entire night journey. They freshened themselves up at the bus-stand while rest of us did it at lodge to save time for us. They came first and went back last. Not many appreciate them for the good things they have done, but any shortcomings are immediately observed and mentioned. It is not easy to hold 25 people together throughout the journey and make everybody happy, but they did it. This will give them a good experience of how to lead in their organizational duties in times to come. I have chosen a job that I love, that of building a business. I am marketing a product that I deeply love myself. I living my own life and not someone else. Coconut Oil manufacturing has been a family business started by my father. I didn’t get into it as part of his succession planning, I got into it out of my own interest. Rather he didn’t want me to join it as he didn’t want me to face the hardships that he faced. But I forced myself in and building Cocoguru has been my dream. Here, I like to discuss about my personal preference for Coconut Oil and experiences with it. My father started a Coconut Oil mill in Puttur in 1988 and I was in 1st standard class then, it was right next to our home in the same compound. So, I have physically been very close to Coconut Oil mill. But mentally, I wasn’t at all involved in it. Even my younger brother used to get involved in it but I didn’t show an iota of interest in it. My parents used to force me to go there. I used to take the tools to repair my cycle. As I was interested in Physics and Mechanics, I used to observe how motors rotate and power is transmitted from motor to the oil extraction machine. As I showed inclination to studies and brother towards business, it was planned in family that brother would continue the business and I would have a white collar job outside. Till I was 25, I never used to apply hair oil. Once I had felt that my hair was feeling dry and felt the need for hair oil. I bought Parachute. It smelled so nice and different from coconut oil manufactured at our mill. I didn’t know why even though it was Pure Coconut Oil, it smelled like that. Then, I assumed it must be perfumed. Also the oil used to retain the quality for longer time. Then I developed the habit of applying coconut oil on my scalp. One to moisturise hair and scalp and Two to experience the fragrance of coconut oil in the process of applying it. I continue the habit today, but this is how the liking towards coconut oil started. When I was in hostel, I used to wash clothes on my own. I was famous for that as I used wash clothes more frequently than others. I had to wash more frequently probably because I used to wear one pair only for one day 🙂 After washing, due to detergents the hands used to feel hot and dry. To moisturise and cool, I used to apply coconut oil on hand, remaining oil on hands and legs. Now, I see coconut oil being used for same reason even in commercial establishments like Cement plants. Today, I get bulk orders from cement plants just for the purpose of cooling and moisturising hands after handling cement. My mother is very health conscious and she used to do oil pulling. She also advised me to do oil pulling for having good oral health. Since I love coconut oil and am looking for new ways to experience it. I started oil pulling, my dental health surely improved. Tooth sensitivity and swollen gums were gone. It is a great way for me to test the quality of our product also. While, oil pulling that is rinsing oil inside the mouth, I wouldn’t mind if I swallow some bit. I am someone who like to eat regularly, I like to have my breakfast, lunch and dinner early and at same time everyday. But when I travel, I cannot stick to these routines. I don’t like eating junk food outside. When I feel hungry, my energy levels come down. Then I drink about 5 ml of coconut oil. Coconut oil is different from other edible oils in that it is easily digestible and hence provides instant energy. Also it leaves a very good taste in the mouth. I sometimes go with our sales van to develop new business or get feedback from customers. When I approach a new customer to develop business, he is normally reluctant. Then I pour some drops of oil on his hand to smell it. Since ours is roasted coconut oil it smells more then conventional coconut oil. He now gets interested. He enquires about price and business terms and business starts. Many times customers have raised doubts about the purity of our product and claim that it is perfumed and not natural. I pour a few drops of oil on my mouth in front of them and swallow it. It convinces them and I get satisfied too. A lot of smell comes out of our factory during oil extraction. It reaches the road that is a good 150 metres away all nearby residents. For me to sit in the factory and experience it the whole day is blissful. My clothes retain that smell, when I go out, people ask and I feel good about it. It happens only with Coconut Oil. On the contrary, my experience with other oils especially Sunflower Oil is different. At my hostel at Mysore, Kitchen was on ground floor and Dining Hall was right above it on 1st floor. Meant all the kitchen smell especially that of cooking oil (Sunflower Oil) would be felt at the dining hall. I was slow at eating, meant I had to experience the smell for longer time. If you don’t like the smell, the time spent feels that much longer. The clothes would retain the smell, so I had to feel it for long time even after I had left the hostel mess. So, I used to wear different set of clothes to mess, take it off and wear a different set once I come back. At a lodging in Erode, the restaurant was right below the room and I had to endure the smell for the whole night. There are a lot of restaurants with poor kitchen ventilation where Oil vapours circulate around our eating tables. I avoid such hotels. I avoid eating all oily foods when I eat out. Because they mostly use cheaper oils like Sunflower Oil, Palmolein Oil or Vanaspati. A good oil can add a lot of taste and juiciness to food. I particularly like oily foods prepared by Goud Saraswat Brahmin community. At our home oil usage is very less and food tastes bland. A close relative used Cocoguru coconut oil for preparing all the items at their function. I tasted all the items there including Poori and Jilebi that I hadn’t tasted as per my recent memory. At our factory canteen we prepare one deep fried dish a week to test the quality of our oil. For diwali, we prepare Boondi Ladu using our coconut oil and distribute it to employees and customers. There are a few local foods like Charmuri, Omlet, Pathrode, Fish Fry and Banana Chips that must use Coconut Oil to taste good. Overall, I use coconut oil to appeal to my 3 senses smell, taste and touch. Only a poet can explain well how good it feels rest of us have to experience it to understand it. In exactly one year we have witnessed increase in price of coconut oil, coconut, copra and coconut oil cake from its lowest to highest (so far). We are all talking about it because the growth in price has been whopping 3 times! So, I will try to put across some of the wisdom at hind-sight on its effects on various stake-holders. Not many in this industry including us, would have been prepared for this change that seems irreversible now. Till now inflation has happened on most commodities except coconut. Price increase should naturally bring cheer to the farmers. But this time it didn’t bring along the desired cheer to them. The price increase is not because of the increasing demand but more because of scarcity of the commodity. If the farmer had grown 100 nuts last year, sadly he has only grown 50 nuts this year. So, despite 3 times increase in price, his income has only grown 50%. Farmer has also witnessed similar inflation in the cost of his farm inputs like labour, fertilizers, water and so on. Farmers generally don’t aspire to grow coconuts as much as they do for other cash crops like Arecanut and Rubber. They only cultivate coconuts for their own consumption and for plant diversity in their farm. Justifiably so, as the coconut price was way below his cost of production. This price increase should re-kindle interest in them to take coconut cultivation more seriously. If they do, this should be a great boon for entire coconut industry. Coconut Oil finds widespread use in household cooking, baking applications, soaps, hair oil, body massage and so on. In a few of these applications, there are no easy substitutes and the demand is inelastic. That is why price is continuing to rise unabated. Coconut from the tree was earlier used mostly for making copra and hence coconut oil. The price of coconut and copra was mostly driven by coconut oil and palm oil. Now the scenario is likely to change. Coconut Oil millers find that the coconuts cultivated don’t come as copra to their factory doors. Instead, Coconut is plucked while it is tender, the yield of coconut tree is also higher when tender coconut is plucked. Mature coconut (many times immature) is used extensively for making Desiccated Coconut. The remaining coconut that is still dried into copra again finds usage as edible copra (good shape and color) at higher price. The residue is available as copra for milling. Profitability-wise it has been a great period for coconut traders and processors. They buy raw materials and when they about the sell the finished goods, the price would have increased. More stock one is able to hold and faster one is able to complete the processing cycle, better were is profits. Earlier the price increase brought with it some caution, what if the price comes down tomorrow? Now it has become highly predictable. But it has not been all that rosy. Working Capital required has increased proportionally. For those with limited working capital his ability to hold stock has reduced. A certain level of stock is required to maintain quality in production (e.g. Time is required for drying copra, filtering oil through sedimentation). Minimum stock is required to meet sudden demands, ensure supply just in case production has been disrupted. While discussing with a Vendor, he was telling about his customer in Coconut Oil industry. Who were once paymasters when it comes to vendor payments have now been delaying his payments. Extent of adulteration is directly proportional to the price difference between Pure Coconut Oil and its adulterants. Palm Kernel Oil is the often used adulterant owing to its similarities with Coconut Oil. Many other malpractices also go along with adulteration like Underweight and Sales in Black. It is the consumer who has been badly hit by this price increase. He is obviously forced to pay much more. Also, he has to consume adulterated products. In order to keep his expense on cooking oil within budget, he will try substitutes like Palmolein Oil and Sunflower Oil. Worst thing to happen will be when he has changed his edible oil for good, when he doesn’t buy coconut oil again even when the price has come down. Coconut Oil will join edible oils like Ghee, Gingelly Oil and Groundnut Oil as premium, local cooking oils. A place where it rightfully belongs. It should be consumed because people want to consume it and not because it is cheap. Each one of them having a cheaper substitute, Vanaspati for Ghee, Ricebran Oil for Gingelly Oil, Palm Kernel Oil for Coconut Oil. Palmolein Oil, Sunflower Oil, Soyabean Oil, Cottonseed Oil and Rice-bran Oil will be for the masses.